Inadequate financing from government coffers adversely affecting operational budgeting. 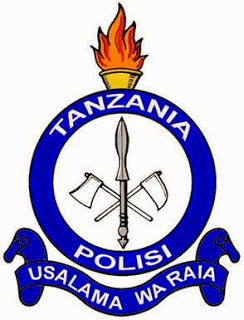 The Corporation was established mainly to support the Tanzania Police Force (TPF) byway of Conceiving, initiating and establishing innovative income generating programs, projects and activities that are sustainable by utilizing the available resources with minimum or no external stimulus/impact/intervention – that can potentially compromise it’s social obligations/status and constitutional tasks. Modernizing technology and all related equipment/tools/training and operations for innovative ways to combat the rampart/heightened criminal activities that are rife in the communities and beyond. Establishing employee motivational programs and incentives to reinstate self-esteem, professionalism, improved livelihood, efficiency and increased recruitment rates of a dedicated workforce. 1. Have age from 18 to 25 years old. 2. He graduated with division 4 of 28 points or above. 4. Have good health certified by a government practitioner. 5. Do not have any bad memory records. 6. He is already ready to work anywhere and outside the Tanzania Union republic. 7. Be patient with him too to be creative in order to cope with security challenges.